I walked to my car disappointed. I found myself wishing our church family was more engaged. More hands in the air. More passionate singing. More of an obvious, visible work of the Lord. My experience after a recent Sunday morning is something worship leaders everywhere struggle with. We've all enjoyed those worship services. You know the ones. A reckless abandon in praise. An unashamed adoration. Voices lifted high to the Lord. For churches with a contemporary worship style, this type of visible response has become the goal. Success is measured in how many hands are raised. How many eyes are closed. How many knees are bent. In short, we measure in visible expressions. But I want to push back on that type of thinking a little bit. The Bible both commands and instructs us to physically engage in worship through these visible expressions. But it's important to remember that visible expression is not the only way we worship. In fact, I would suggest it's not even the most important way we worship. Jesus calls us to love the Lord our God with all of our heart, soul, mind, and strength. When we worship through singing, dancing, kneeling, shouting, or lifting our hands we're mostly worshiping God with our heart (and some strength). Our emotions are stirred toward the Lord. We lift up religious affections. We feel the joy of the Lord. We feel His smile toward us. We feel the comfort and security of being held in His hand and adopted into His family. Most people don't feel ready to engage in this kind of expression until 4, 6, 8 songs in. At that point the distractions of our day finally seem to fade. Our concern for what others are thinking finally wears off. But what about the days we can't lead six songs in a row? The reason I left this particular gathering a little disappointed is because we never quite reached this place of obvious, visible adoration. 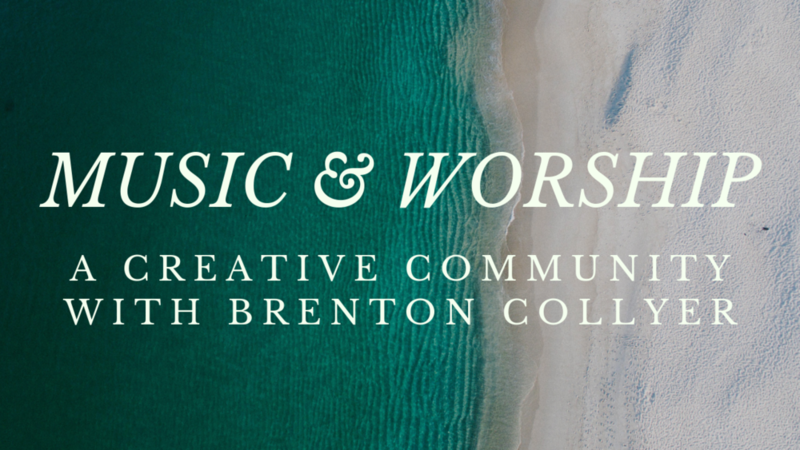 Through the lens of our contemporary worship movement, this could be seen as a failure. Visible expressions are a part of our worship. But they’re just that - a part. On this particular Sunday, we began by reading Psalm 146:1-9. The living, breathing, word of God was read loudly, clearly, and unashamedly. It didn't have the energy of a driving drum beat. The flurry of a melodic hook. The subtle drone of an artfully crafted keyboard patch. But the word of God is more powerful and more beautiful than any of these things. The word of God will endure forever. The word of God is breathed from God Himself. The word of God has the power to cut to our very soul. Although it's important to sing our words to God, it's even more important for us to hear His words to us. We also recognized that giving financially is just as much an act of worship as singing a song. Perhaps even more so. Why? Because to worship something means to invest in it. To give yourself to it. To sacrifice. To pour yourself out even when it isn't easy or convenient. The words "I Surrender All" are easy to sing but very hard to live. Financial giving takes the songs we sing out of the theoretical and brings them into real life. It puts weight behind our words. It demonstrates to the Lord that we mean what we say. Now passing an offering bag doesn't have the smoothness of a sly transition. Writing a check or punching an amount into an app doesn't have the effortless ease of simply closing your eyes. The pang of letting money go when there is already so little to spare is in stark contrast to the pleasure of being swept away by a rich musical arrangement. But I would contend that there is far more genuine worship happening in these moments of giving than in most moments of singing. Throughout my elementary years, I was homeschooled. As the fifth child, my Mom had pretty much worked out her teaching methods by the time I came along. I would ask a question, desperately hoping for just a simple answer. That never happened. She would always reply with something like "do you remember what we learned last week?" Or "write it out for yourself and see if you can find the answer." Hearing spoon-fed facts takes little effort. Remembering for ourselves requires more. On this same Sunday, we received Communion. Communion gives us a special chance to remember. We remember that we were once lost in sin. We remember that God's wrath was poured out on Christ instead of us. It's easy to listen to a worship leader sing "It was my sin that held Him there...". It's a little harder to stop and consider the weight of your sin. Not just the idea of sin but YOUR sin. The specific things that have separated you from God. To repent and receive the overwhelming mercy of the Father. When this sinks in, a reverential awe comes over our soul. This awe isn't often manifested in clapping, dancing, or shouting. This internal work of the Spirit may not be immediately visible during the service. But it will soon be seen clearly when our lives begin to bear lasting fruit. Reading Scripture, receiving an offering, and taking Communion can be seen as disruptions. Obstacles impeding our precious "flow". Bumps in the road that jolt people out of their eyes-closed, hands-raised, sonically induced state of serenity. When hands are raised in the air and voices lifted up it's beautiful. It's wonderful. But ask yourself; is this your measure of success? What about a church family listening to the very Word of God poured out over them. A church family worshiping practically and sacrificially. Not just in words but in the act of giving. A church family remembering for themselves the mighty deeds of God. Remembering the chasm between the frailty of their humanity and the power of their God and rejoicing that Jesus has filled the void. Now that sounds like a successful day to me.